James E. Joyce & Associates is an independent marketing firm, with more than 35 years of experience. We specialize in Employee Benefits (including medical, dental life, short term, longer term disability, and pension plans), Individual Life, Health, Disability, Long Term Care, Annuities and Investments. 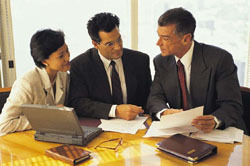 As insurance brokers and consultants, we represent many major insurance companies and providers. We offer you competitive rates for your individual, family or business needs.